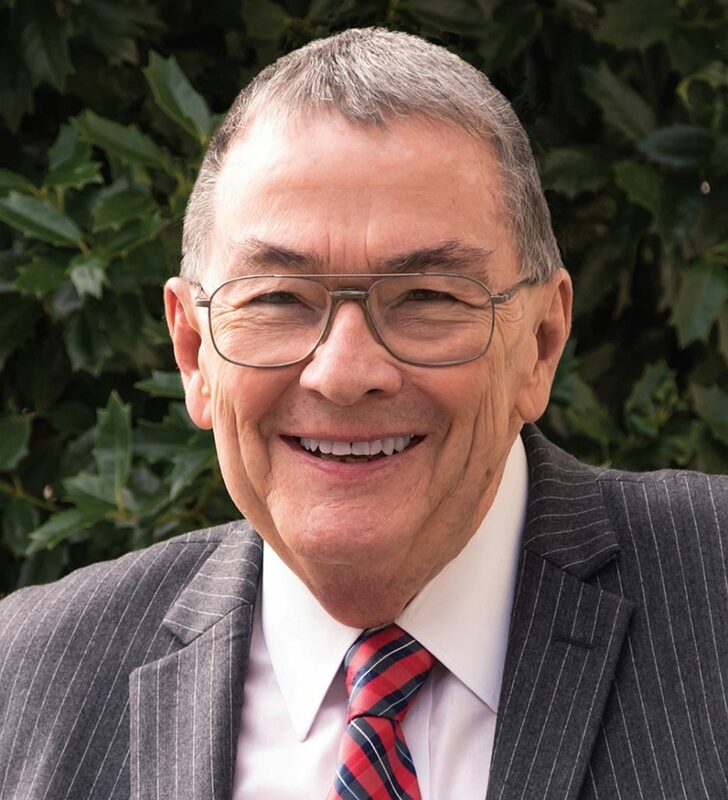 GAFFNEY, SC (courtesy of limestone.edu) — Dr. Walt Griffin, who has led Limestone College since 1992, has announced his plans to retire later this year as President at the historic liberal arts institution in Gaffney. The announcement came at the Board of Trustees meeting on Friday, April 21, 2017. Dr. Griffin will continue to serve as Limestone’s President through the end of the 2017 fall semester, which concludes with graduation ceremonies December 14-16. Following his retirement, Dr. Griffin will continue to reside in Gaffney. Over a six year period that spanned the late 1980s and early ’90s, Limestone’s budget operated at a deficit. In those dark days, enrollment numbers were dwindling, buildings were deteriorating, and many wondered if its survival was in jeopardy. With the hiring of Dr. Griffin in 1992, Limestone found stability and started a path to a major turnaround. The College not only recovered from those difficult times, but has flourished during Dr. Griffin’s presidency, and is now enjoying an era of growth, strength, and renewal. By practically every gauge, Limestone has not only survived, but thrived. Applications, enrollment, and academic scores have all increased. Quality faculty members have been hired, fundraising is at an all-time high, nearly every existing building has been renovated, and new facilities have been built. “Limestone will be forever defined by Dr. Griffin’s tenure and leadership, and his contributions to our College will benefit generations to come,” said Richard Baines, the current chairman of the Board of Trustees. “It has been an honor to work with him. His efforts and love for Limestone have affected thousands of lives while making the College the success story that it is today. The College’s reputation as a solid private liberal arts college has grown significantly. Today, Limestone is a key player when it comes to attracting the brightest minds across the state and the region. The College is also now known for its attractive extended campus program for online and evening students, as well as a steadily growing graduate program for business. “Dr. Griffin arrived on the Limestone College campus at a time when the college was in dire need of fiscal and operational leadership,” said former Board of Trustees member Steve Bryant. “He immediately rolled up his sleeves and got to work putting Limestone’s financial operations on solid ground by balancing the budget and looking for ways to grow enrollment, which resulted in an increase in income for the College. I have witnessed firsthand Walt’s passion and love for Limestone. Never one to be satisfied with the status quo, Dr. Griffin was constantly looking for ways to improve Limestone, either through the quality of the college experience for the students or leading the way in numerous renovations of aging facilities. Committed to the idea of a liberal arts education through which students think and learn across many disciplines, Limestone has become a destination for pre-professional studies in such areas as Business Administration, Social Work, Education, Physical Education & Strength & Conditioning, Sport Management, and Criminal Justice. Dr. Griffin has been considered the driving force behind the continued growth of Limestone Athletics and the ever increasing success of the program. Having come to Limestone when it only sponsored eight teams, Dr. Griffin used athletics as part of his plan to bring the College back and develop it into the thriving institution it is today. In his time at Limestone, Dr. Griffin has more than tripled the size of the athletics program to 25 teams, while seeing those individuals and squads bring local, regional, and national recognition to the College. Immediately prior to coming to Limestone, Dr. Griffin was Director of the Cincinnati Center for the College of Undergraduate Studies of The Union Institute. Most of Dr. Griffin’s teaching and administrative experience was gained at Upper Iowa University, a small private liberal arts institution. In addition to serving as a professor of American history for 23 years, Dr. Griffin was chairman of the History Department and of the Division of Social Sciences and Business Administration, Faculty Chairman, Acting Vice President for Academic Affairs, and Director of Off-Campus Programs. Dr. Griffin’s academic background is in the field of American history. He completed his Bachelor of Arts degree at Loyola College, Baltimore, and his Master of Arts and Doctor of Philosophy degrees at the University of Cincinnati. He has also served on the faculties of Xavier University in Cincinnati, Mt. St. Mary’s College in Maryland, and been a Taft Teaching Fellow at the University of Cincinnati. In the political arena, Dr. Griffin has been a city councilman, a candidate for statewide political office, and the manager of a U.S Congressional campaign. He also coached men’s and women’s college tennis for eight years, and in 1985 he was voted the Iowa Intercollegiate Athletic Conference Men’s Tennis Coach of the Year. Dr. Griffin and his late wife, Penni Griffin, former Assistant Professor of Social Work at Limestone, have four children – Megan, Rebecca, Kathleen, and Shawn – and eight grandchildren. Information regarding the search for Dr. Griffin’s replacement will be announced at a later date.